With these aspects in mind, evaluate your yard. Consider the amount of shade your lawn receives and is likely to receive over the years as trees and plants grow. Think about the amount of time you are prepared to invest in the maintenance of your lawn – fertilising, mowing, watering, pest and weed control – in both time and money. Typically the best choice of turf grasses to cater to the South East Queensland climate and conditions is the soft leaf buffalo such as Sir Walter. It is perfectly suited to the warm and often humid climate, has excellent salt and shade tolerance, good drought, pest and disease tolerance and a good winter colour. It suffers only slight invasion from weeds and requires only average mowing and maintenance – making it a great choice. Another option for South East Queensland is one of the couch turf varieties such as the Nullarbor Couch – both are available for purchase online from Daleys Turf. 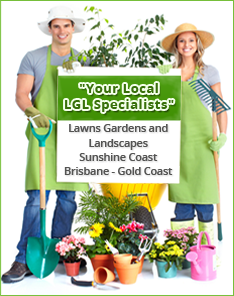 For lawns in South East Queensland Daleys Turf highly recommends Sir Walter Premium lawn turf. This soft leaf buffalo turf has proven to be a winner in our climate and has an excellent home owner approval rating – in fact it is Australia’s most popular lawn choice. If you still have questions regarding turf grasses varieties, just contact the team a Daleys Turf.